After state regulators approved California's first-ever statewide water restrictions on Tuesday, it's now up to nearly 3,000 local water agencies, big and small, to make it work. Water agencies throughout California bear the burden of achieving the 25 percent reduction in water use ordered by Governor Jerry Brown on April 1. The state will start keeping score officially on June 1, when cities and water districts need to start carving between eight and 36 percent off their 2013 water use, and keep it up on a month-to-month basis. "You're on the front lines, you know that," Brown told a gathering of water managers at the Association of California Water Agencies in Sacramento. "And we're here to back you up." Brown, however, as much as admitted that it was easy for him to say. "We just kind of launch the missile, and then you particularize and talk to your neighbors, and get 'em to do it." Or not. When it comes to the hard choices such as tearing out lawns, replacing water-gulping toilets and appliances, it remains to be seen how Californians will respond. "What worries me most is that I think a lot of Californians are not yet quite ready to do that," says Dave Bolland, who manages special projects for ACWA, "to embrace that new water use ethic." Recent conservation trends would seem to bear him out. 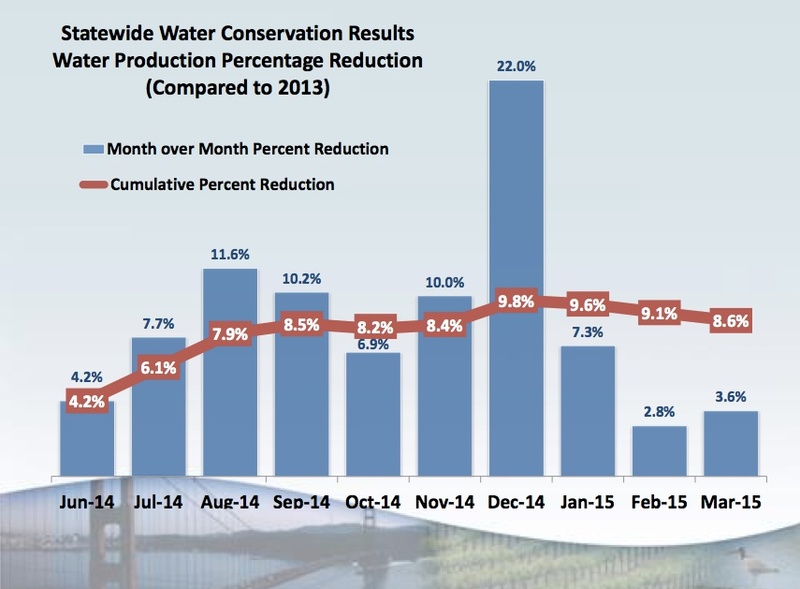 According to figures gathered by the state water board, water savings averaged only 3.6 percent in March, compared to 2013 levels of water consumption. That's far below the 20 percent voluntary cutbacks that Brown asked for a year ago, and even more dismal compared to new targets that individual communities will now be required to attain. "There are some very aggressive targets in this mandate," notes Bolland. More than 80 local agencies have been assigned the highest, 36 percent, savings quota. Many cities have gotten a head start and some, like San Francisco and Santa Barbara, are already ahead of the quotas assigned to them by the state. But others are still worried about the impact on their local communities. 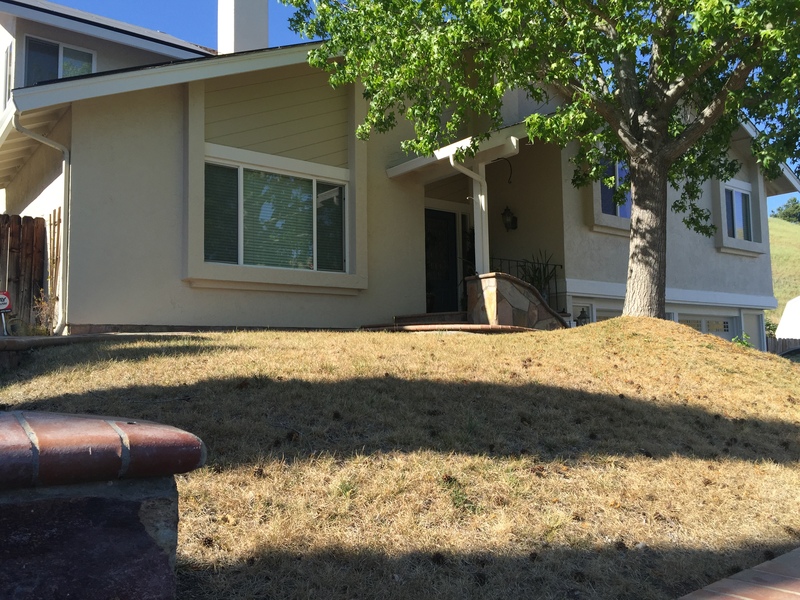 "Going down to one day a week watering, we'll be seeing brown lawns, we'll be seeing a lot of vegetation dying," Jennifer Hanson told the state water board in a last-ditch appeal on Tuesday. Hanson heads public services for the city of Lincoln, northeast of Sacramento, which has been assigned to the highest "tier" of required conservation. She says even cutting outdoor watering to one day per week might not be enough to meet her local mandate. "Trying to go down to zero days a week watering to try to meet our 36 percent on average throughout the year, may even require more stringent measures for outdoor water use." Cutting 36 percent of deliveries will also strike a major blow to revenues, even as water agencies are expected to promote and enforce conservation, which will mean selling less water. "There are a lot of agencies that, you know, that's a third of their resources in terms of their water revenues, so there are substantial fiscal impacts," says Bolland. "So there are some significant challenges that these water agencies face." But business-as-usual isn't an option, says Brown. "We've got to change," he told the ACWA gathering. "And how we use water is not exempt from that."